Under a security pact being signed on Thursday the UK will increase its help to the popular east African holiday destination to boost aviation security. It includes machines to detect explosives to keep the 100,000 British people who visit Kenya every year safe, by preventing bomb attacks in the country and on direct flights to the UK. The measure adds to existing aviation safety support the UK already provides. The UK will also offer training in community security to help strengthen the police’s engagement with marginalised communities, to help Kenya tackle violence against girls and women and to prevent extremism by dealing with the threat at source. And it will share expertise with Kenya’s criminal justice system to strengthen the procedures for processing complex legal cases including terrorism and organised crime – improving the use of terrorism legislation and strengthening interagency working to help bring offenders to justice in the UK and Kenya. Another aspect of the pact – which builds on the first one, signed in 2015, is British support to build a specialist cyber centre to help Kenyan authorities track and prosecute paedophiles who abuse children in that country and create and share vile images on line. The centre, being built inside an existing Anti-Human Trafficking and Child Protection Unit (AHTCPU) which the UK helped Kenya establish, will help Kenyan police prevent child abuse images being shared online in the country. It will also tackle a problem that prevents predators being caught and prosecuted, because Kenyan authorities cannot access reported child sexual abuse on US based global tech companies’ platforms as the country does not have the required secure channels. The British support will enable the Kenyan police to access the data and bring perpetrators to justice. Prime Minister Mrs May – who is the first British PM to visit Kenya for three decades – said: “Online child exploitation is an abhorrent crime and we are determined to ensure there is no place to hide for predators who use the internet to share images of abuse across borders, too often with impunity. 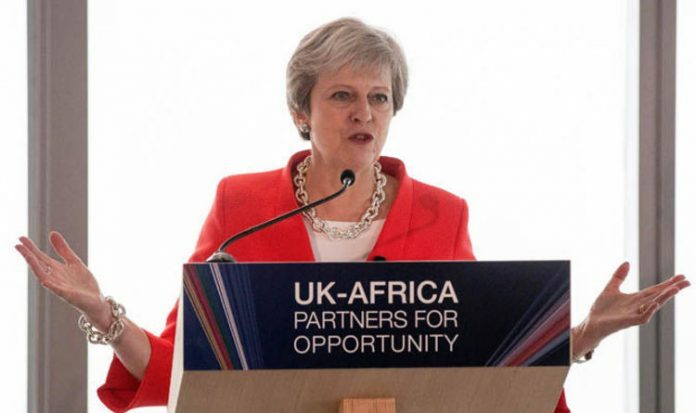 Also on Thursday, as announced in Cape Town on Tuesday by Mrs May, the UK is confirming a deal to return to Kenya millions of pounds stolen from it by crime and corruption and hidden in British banks and assets. Stolen funds found in Britain can now be used to fund development projects in sectors such as health and education. This includes over £3.6 million in proceeds of crime seized by courts in Jersey. Other initiatives to be announced on Thursday to tackle corruption, increase investor confidence, encourage UK trade and investment and support economic growth in Africa include a new programme to counter illicit financial flows across southern and eastern Africa to help regional law enforcement recover illegal funds and disrupt serious organised crime networks; and new guidance to help British companies overcome barriers to doing business in Kenya and other emerging markets, including advice on dealing with requests for bribes and human rights issues in supply chain.